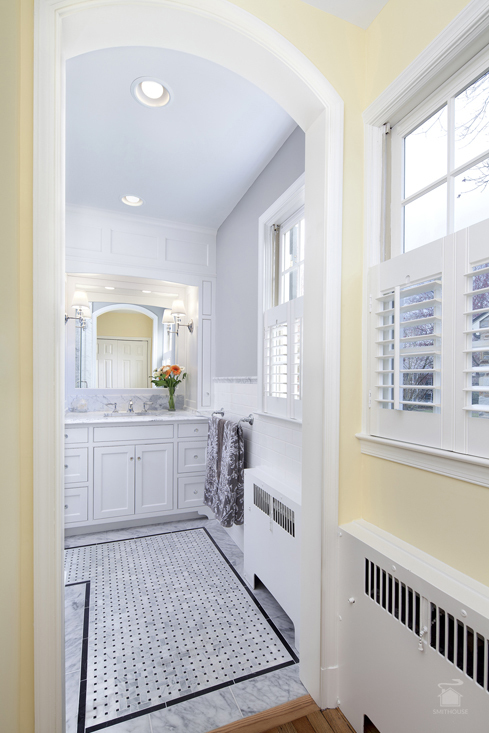 What started off as a typical 1940’s bathroom (including the usual black and white tile mixed with pastel) quickly turned into a magnificent, stately “master ensuite.” Our clients challenged us to create as much space as possible in their new bathroom and dressing room while working within the existing footprint. We also needed to make sure whatever we did was in keeping with the home’s turn of the century Colonial styling. 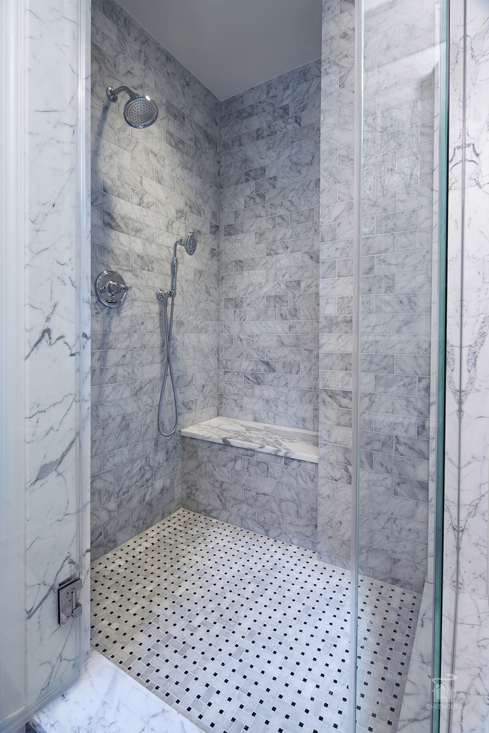 Within a two month time frame we leveled out the ceiling and walls and introduced new design elements through fixtures, tile and millwork. 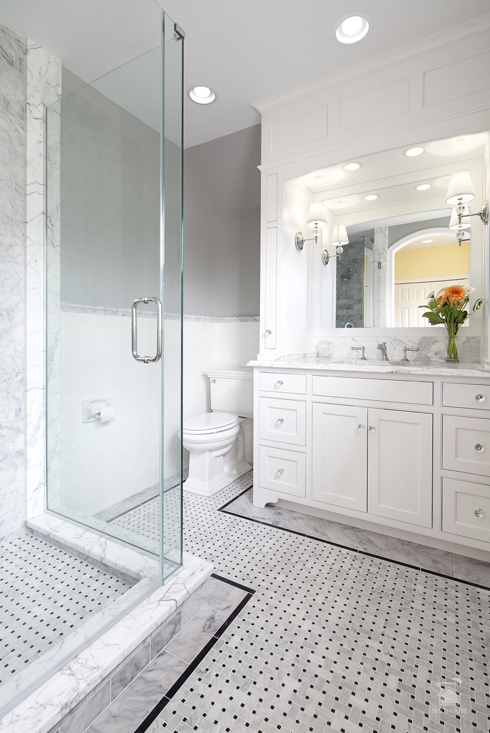 To maintain a feeling of spaciousness, we incorporated a tall arched doorway for visual openness and carried this design treatment through to the vanity area for consistency. 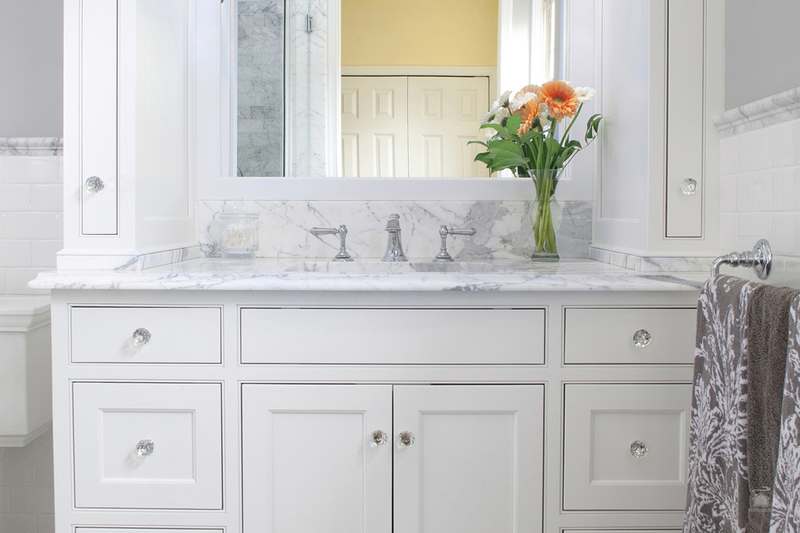 We were also able to maximize storage by adding pull out shelving units into the decorative columns flanking the sink space. 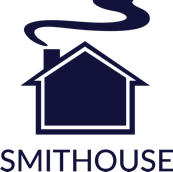 “We hired Smithouse for a full renovation of our master bathroom and a partial renovation of a guest bathroom. 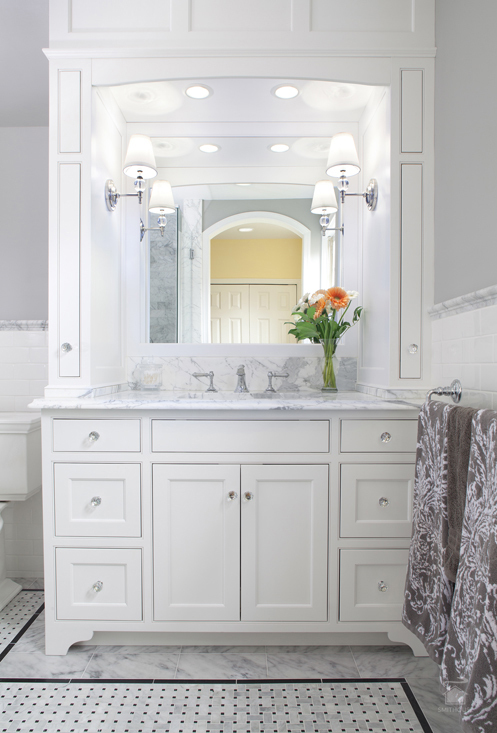 They also designed and installed custom closet doors for a dressing area.